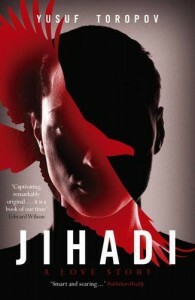 Jihadi will probably be one of those novels that I will be thinking about long after I finished it. I will say that it's not the easiest novel that I've read, it was much easier to read with no background noise, that way I didn't miss anything. The book is mainly about Thelonius, Fatima and Mike, how they connected and the consequences on their lives. And throughout the whole novel is a second narrator. At first you don't realise who this person is, just somebody a little annoying who places a few notes. These contradict the accounts from other people and there are constant references to the The White Album by The Beatles. I found this quite confusing, I don't know the album so didn't really understand the connection. When I realised who the narrator was I was flicking back the pages to see what I had missed. The same happened with The Raison. The scenes featuring Thelonius and The Raisin were one of the most fascinating, and at times, upsetting in the book. Fatima was completely out of her depth and trying to do the best for her mother and younger sister but didn't realise the danger that she was in until it was far too late. I loved her strength of character and how she refused to change her story to match that of the heavyset woman, one of the most dangerous characters to feature in the novel. I found both her and her husband very intimidating. I like to think that there would only ever be one Mike but I suspect that I might be disappointed. 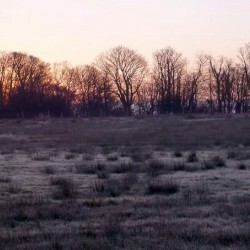 He was the complete opposite to his brother who had a conscience and tried to do the right thing. Thelonius and Fatima came from different countries and different cultures but they shared the same belief about their countries leaders. The author doesn't take sides at all, instead he shows that there are good and bad people on both sides of the conflict.